This entry was posted on November 17, 2014 by stockdalewolfe. It was filed under Animal & Landscape Photographs, Animal Columns & Poems, Loss, Nature Photography, Poetry, Reflections, Uncategorized and was tagged with Animal Bonds, Animals dying, Death of a companion animal, Dying, Mercy killing, Moon, Moonset, Pre-dawn, Putting to Sleep. I like both the image and the poem, Ellen, and I think I totally understand the sentiments of the poem. Thank you, dear Ashley, I am sure you do understand. Ellen, I am unclear and concerned about your words in verse two. I was referring to having to put down our dog. Someone else suggested that. It is a possibility to consider. I suggest the same for you!! Especially for your doors in Greece!! Thank you, biggest fan! I think I am yours, too. Ellen, beautiful and sad. Please, though, do not consider euthanasia for yourself. Only appropriate for end stages of terminal illness (in my opinion). I realize that living with mental illness is painful, but we must hold onto hope and remember that not all days are painful. Don’t worry, Kitt. I am not about to take a handful of pills. But THANK YOU so much for your concern!! Living with mental illness is hard, yes, but when you throw in physical illness as well, it seems almost insurmountable. I am not seriously ill but have been sick for a few months on and off, mostly on, and I have been able to deal with it but it is only a flu virus. What happens when it is worse? That’s what my poem addresses. Speaking of serious illness, how are your parents? I was a caretaker for awhile, too, thank God along with my husband, and know how stressful it can be. Thanks for the tweets as always. You are wonderfully caring, Kitt! Thank you. Really beautiful words, Ellen and really interesting to pair them with the image, which seems utterly right. Love the colour by the way. Thank you, dear Richard!! 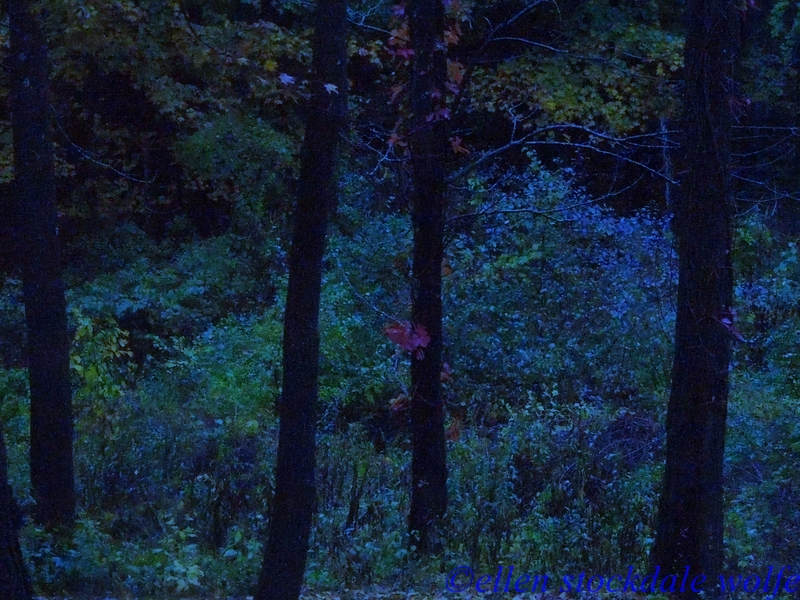 I added blue to a dark photo to try to get the moonlit effect. When it’s our time to go, we will go peacefully, if we lived peacefully while we were blessed with the gift of life here on earth.